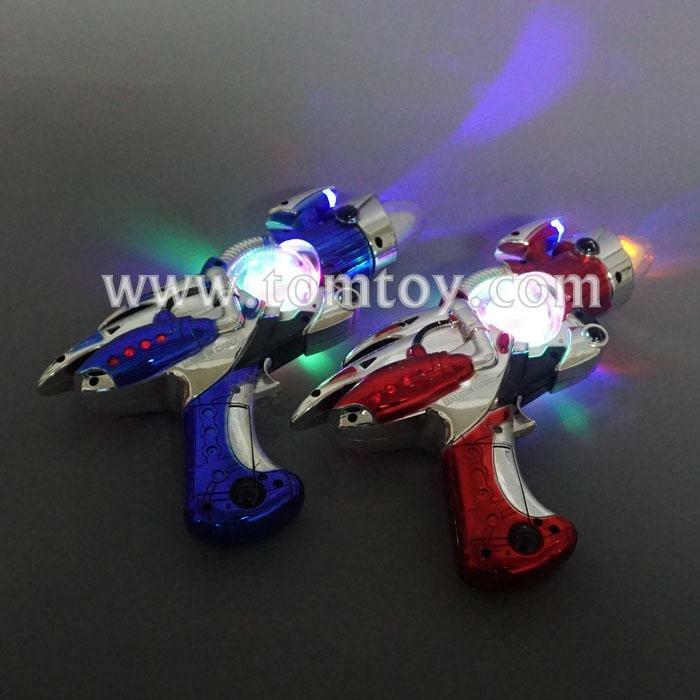 1.These Super Spinner Space Guns are awesome! 2.A multi-media barrage of sight and sound makes this glow in the dark gun a weapon of mass distraction. 3.Just pull the trigger to activate a series of killer sound effects and a captivating configurations of flashing multi-color light. 4.Batteries included. Great on their own, even better with the other LED accessories. 5.Have your child be the ultimate space ranger with this cool toy gun.